If there was any unified conclusion to draw from Pigs Eels and Insects, a symposium examining the legacy of Japanese director Imamura Shohei, it was that there are many difficulties in positioning such a unique and at times contradictory oeuvre within a broader analytical framework. For starters, as Jasper Sharp explained in his outline of the industrial and cultural backdrop to Imamura’s film-making, the group of Japanese directors of the 1960s commonly grouped together under the umbrella term Nuberu Bagu (New Wave) could hardly be considered to be part of a homogenous thematic, aesthetic or political movement. Nor is Imamura’s output thoroughly consistent, despite in many respects and for a large part clearly suggesting his status as a genuine auteur; Patrick Crogan’s appraisal of the later work Black Rain (1989) found thematic and stylistic kinships with the great Ozu Yasujiro, under whom Imamura worked as an assistant and whose subject matter of quietly-suffering members of the lower-middle-classes is ubiquitously viewed as the younger director’s anti-inspiration for choosing to focus on the Japanese underclasses ignored by ‘quality’ cinema. But Black Rain, with its elegaic tone and focus on familial disintegration shows that perhaps the older master’s influence was not entirely negative. Mark Bould also cast doubts over received critical opinion, in this case that suggesting Imamura to be a pro-female director, a tag which perhaps owes much to the frequent comparisons to his similarly-labelled compatriots Naruse Mikio and Mizoguchi Kenji. Rightly questioning whether the strong-willed protagonists such as those in The Insect Woman (1963) and Intentions of Murder (1964) could be considered in any way female role models, at least according to Western models of feminism; all-too-frequently Imamura’s heroines achieve some form of triumph and economic independence only through some form of submission, usually reduced to their biological sexual and maternal fuctions. Bould payed special attention to the difference between the English word feminist and the similar-sounding word used in Japanese criticism feminisuto, whose definition is more connoting of a woman’s sexual availability. Where then to place the director’s work? Isolde Standish argued that the focus of his films was placed on marginalised characters largely removed from modern Japanese history in order to overcome not only the Westernisation process being imposed on the country since the Allied Occupation, but so too that of the Meiji State, instead going back to what the director considered a more essential ‘Japaneseness’ found in the folkloric studies of Yanagita Kunio, and thus free the national cinema both from the channels of ‘official’ history, and also the imported neo-Confucianism of the Samurai rulers. As a unified theory it holds much water, offering an insight into his choices of subject matters: the early films with their emphasis on the underbelly of society, the mid-period documentaries looking at the subjective nature of truth, and films such as The Ballad of Narayama (1983) and The Profound Desire of the Gods (1968) which focused on the agrarian peasantry. Taking an aesthetic approach, Alastair Phillips focused mainly on early scenes from Vengeance Is Mine (1979) looking at how Imamura visual style in what is one of his less typical films still manages to emphasise some of his recurring themes. Despite being a film with a much higher shooting ratio, appearing to counter the director’s favouring of ‘messy’ cinema, the use of odd, fractured framing and a careful manipulation of looking relations within the cinematic frame combine to create a feeling of temporal and spatial instability. 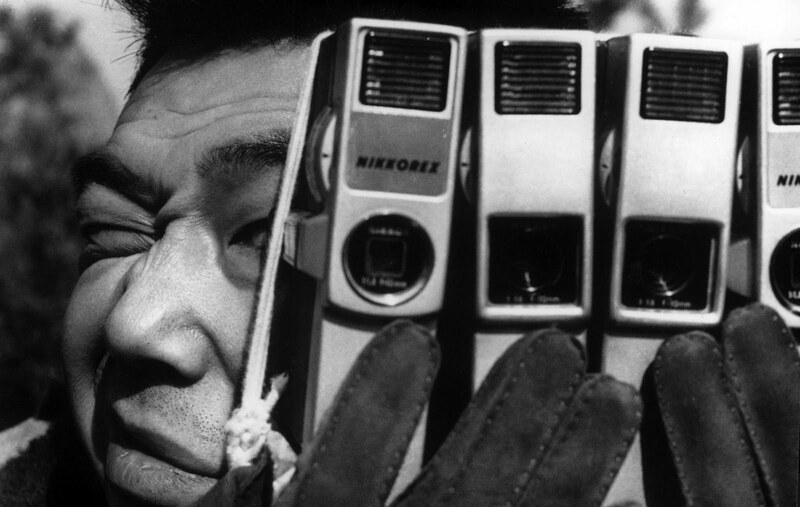 ‘Inside’ and ‘outside’ are prominently defined, and part of a larger aesthetic strategy with undertones of voyeurism and spying – here once again surfaces the often blurred distinction in Imamura’s films between documentary and fiction, and parallel ideas about the relationship between society and the individual recur. One final note: Sharp commented that while the starting point for Japanese ‘Pink’ Cinema is often taken as being the notorious Flesh Market (1962), some critics in fact consider Imamura’s own The Insect Woman as the first example of such a film; another reason along with those others discussed as to why the work of this uniquely distinctive director is ripe for reappraisal.